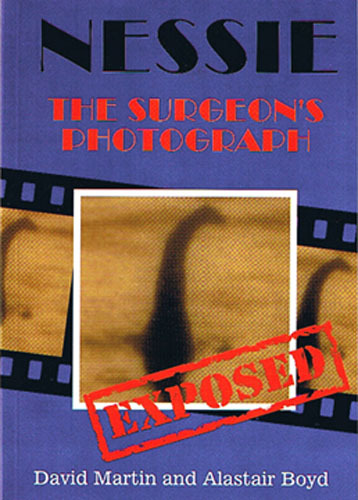 Seventy years after it was originally published, the "Surgeon's Photograph" is still the iconic image of the Loch Ness monster. Yet it is not all that it seems, and this book describes a fascinating story of how it came into being, how those responsible for it avoided publicity, and how those who knew the real story never got around to telling the rest of us. Authors David Martin and Alastair Boyd write " Many people have looked at the photograph, few have looked into it. We believe we have looked into it and seen through it. Yet it required the chance discovery of a 1975 newspaper article to reveal the trail of clues that led to the unfolding of this drama: the interview with the man who made the model monster, his part in this elaborate hoax, and the truth behind what is, arguably, the most famous photograph in the world." David Martin is a teacher and has been a zoologist with the Loch Ness and Morar Project for 25 years. Alastair Boyd, another LNMP member, is a researcher specialising in studying photographic and eyewitness evidence for Nessie. Their book contains 100 pages, 35 photographs, 55 references and measures approx 150mm x 210mm. You can buy it online for delivery within UK by pressing the button below. You can buy it online for delivery outside UK by pressing the button below. Proceeds from the sale of this book fund my underwater investigations at Loch Ness - Thank you.